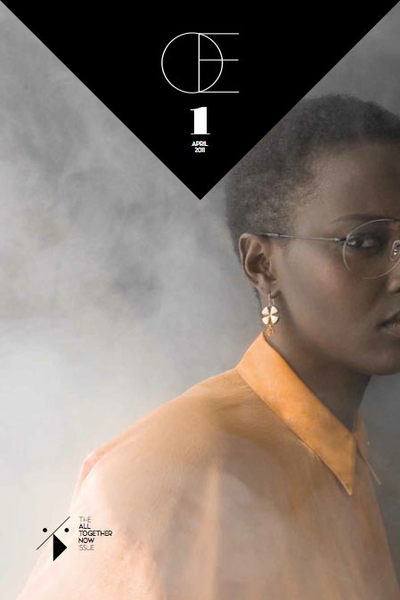 Œ Magazine is a brand new fashion magazine from Berlin. Berlin has a vivid and complex fashion scene that many people talk and write about, but as Berlin is big and diverse it is not so easy to get a grip on it. So we thought instead of describing what’s going on you’d better just show it! This triggered our idea to start a magazine that captures Berlin’s fashion scene by focusing on pure images. Our second postulate was to give the contributors total freedom to realize their ideas so that they wouldn’t feel restrained by any editorial guidelines whatsoever. In this way you should be able to get a good and very direct insight into what is happening fashionwise in this beautiful city of ours. We approached various photographers, stylists, hair&make-up artists and model agencies with our idea and the immediate response was overwhelming. Within little time we had ten extensive editorials, of which every single one represented a different facet of the city in a strong and self-consistent way. With design studio Maven we found the perfect partner to develop an overall concept for layout and production. Every spread in Œ Magazine will be printed on different paper qualities to support the look and feel of each shoot. Beautiful details like an open stitched binding add to the haptic experience which we regard as very important when working with printed matter. Well, this is the story of Œ Magazine. A project that started off with a small and passionate idea that soon became big enough to occupy a group of friends for weeks on end, offering so many opportunities and sparking even more ideas.